Community members are invited to a conference for peace and justice at Mt. Hood Community College that will feature speakers, skills workshops, music and dance. The Peace and Justice From the Heart Conference will be held from 11:30 a.m. to 5 p.m. Wednesday, April 24, in the Student Union on the Gresham campus, 26000 S.E. Stark St.
"The conference offers a chance for MHCC students, staff, faculty, and members of the community to learn how they can plant the seeds of peace, harmony, and accord within their own homes and communities," said Roseann Kennett, an organizer of the conference and an academic adviser with a federal program at the college. "There'll be resources available to attendees, demonstrations of music and dance, and the opportunity to learn peace building skills. Peace starts with each of us before it ripples out into the world." The conference will include panel discussions and demonstrations centered on topics of peace and justice. Breakout sessions will focus on: mindfulness and meditation, nonviolent communication skills, and a panel of students, faculty, staff and peace advocates. 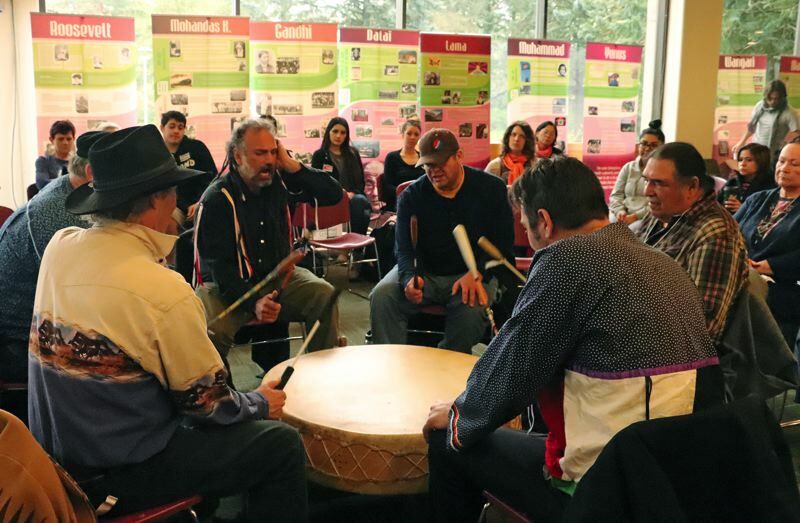 The conference will include Native American drum circles and Dances of Universal Peace. Erin Thomas of Portland will be the keynote speaker. Thomas spent two years studying at the Rotary Peace Center in Buenos Aires, Argentina, where she earned a Master's degree in Peace and Conflict Resolution and was an inaugural Rotary Peace Fellow. She has worked in education program management with Mercy Corps and in charitable giving for Federated Department Stores. She currently serves as Director of Strategic Partnerships for Every Woman Treaty, a nonprofit, global coalition of women focused on ending violence against women and girls. Thomas will discuss how violence against women and girls continues to be one of the world's most pervasive human rights violations and one of the least prosecuted crimes. She will present research on how improving the safety of women can reduce national rates of violence. Reem Ghunaim, executive director for the Rotarian Action Group for Peace in Portland, will lead a session called "Everybody Can Be a Peace Builder." Ghunaim served as chair of the Rotary Club of Portland's Peacebuilder Committee and she's a Global Peace Index Ambassador for the Institute for Economics and Peace in New York City. The peace conference is free to MHCC students and staff. A $5 donation is suggested for community members. For more information, visit mhcc.edu/PeaceConference.